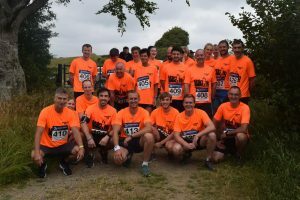 Strathaven Striders is a friendly and sociable running club based in Strathaven in South Lanarkshire. Our members include beginners about to attempt their first 10K through to veteran Ultra Runners and Ironman triathletes. Whatever your interest in running we are sure that you will find others with similar interests in the club. You are welcome to join us for some exercise, chat and fun. Simply come along to one of our regular training sessions detailed below. If I pass out, please pause my Garmin.